Abbey Security asked us to maintain the website, and apply changes when neccessary. 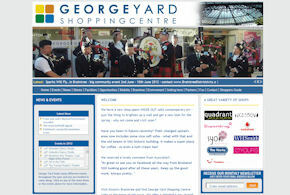 George Yard Shopping Center asked us to design and develop an informational site. As it's regularly updated, it needed to have a content management system for many aspects of the site. Essex Cosmedics came to us with a strict deadline, so with speed being of the essence we utilised the website design and placed it live as a series of images. This ensured potential customers could see it straight away, but it wasn't yet interactive. 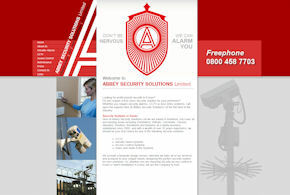 We then got to work on making it a fully functional website that was identical to the images and design. This was all done without a moments downtime, so the website was always visible to anyone seeking it. 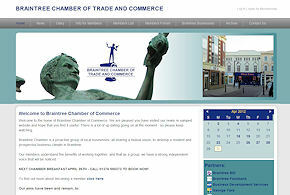 Braintree Chamber wanted a content-managed website that also allowed for a members forum. We designed, developed and integrated the forum. The customer also needed to have a fully working diary system whereby they could add and edit their own events without needing to rely on a developer. 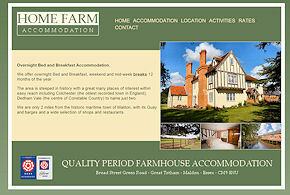 Home Farm Accommodation asked us to design and develop a website in order to advertise their quality period farmhouse accomodation. We followed this up by creating their Twitter presence, and subsequently managed their campaign. Naturally, we linked their website to their Twitter page. Already a customer of ours with Unique Designs Furniture, this client expanded their business and needed an additional website to advertise their new product range. 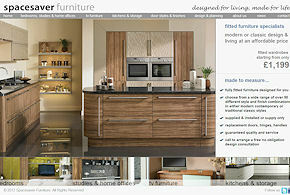 Having been delighted with their first website from us, they immediately commissioned us to start their new one. 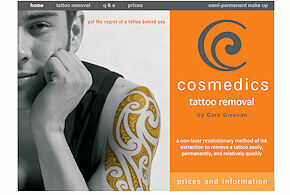 We maintain the website and add products/images ourselves for the customer's ease and peace of mind.